The original Playstation 2 was a monster of a game system. It managed to be heavy, somewhat fragile, expensive accessories, and difficult to find (at least at launch). 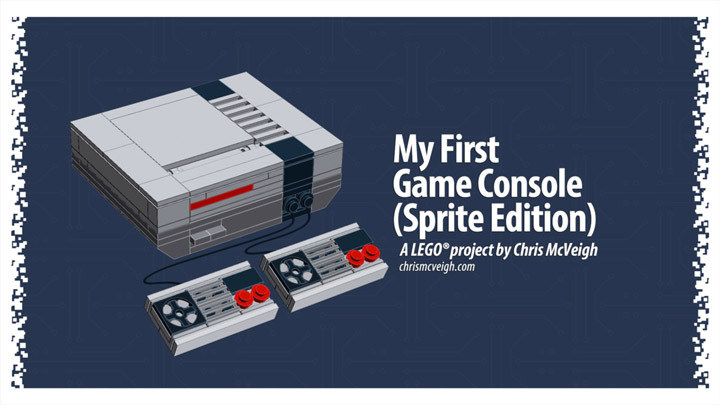 The good news is that now you can recreate this legendary system with only 6 Lego bricks, at a cost of around (60¢). Sure it cannot play Final Fantasy X, Metal Gear Solid 2, or Grand Theft Auto but it also doesn’t cost $299. 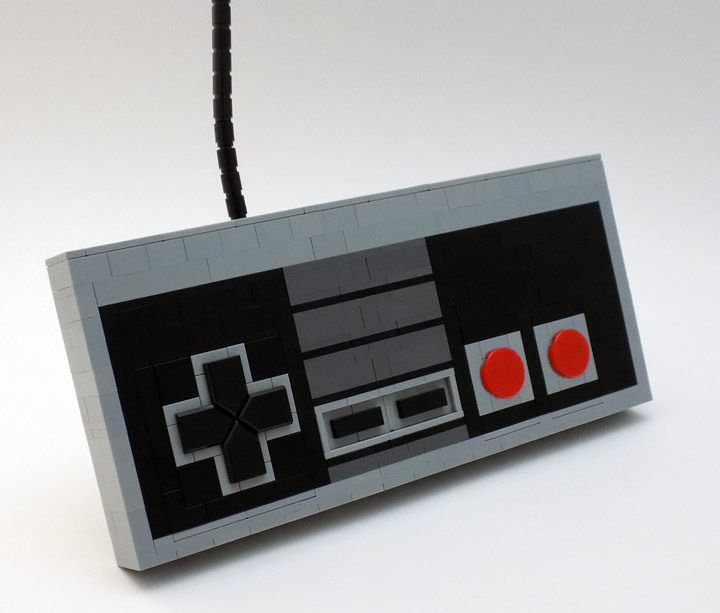 Kelseybuildslego created this Lego Playstation 2 Microbuild with an almost perfect eye for minimalism. The double clip Lego piece will now forever be a PS2 controller in my mind. 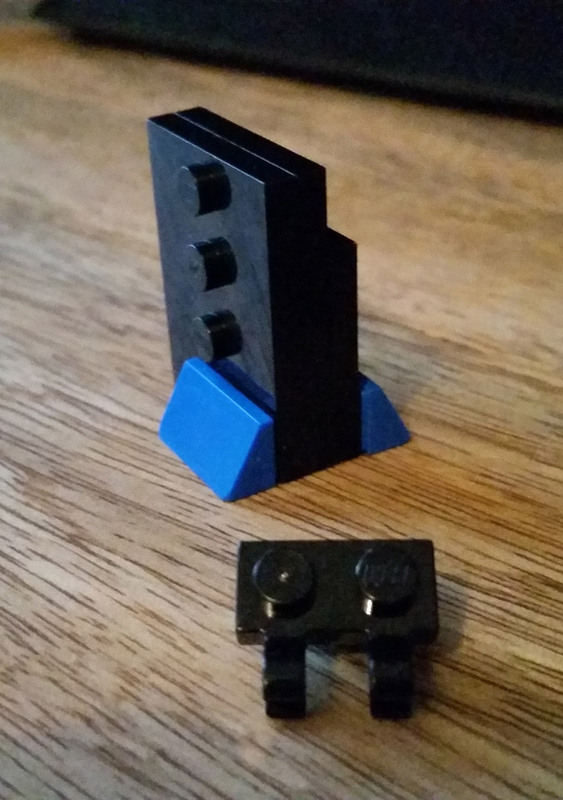 The single detail that makes this whole thing work is the two blue Lego wedges representing the vertical stand. Well done. 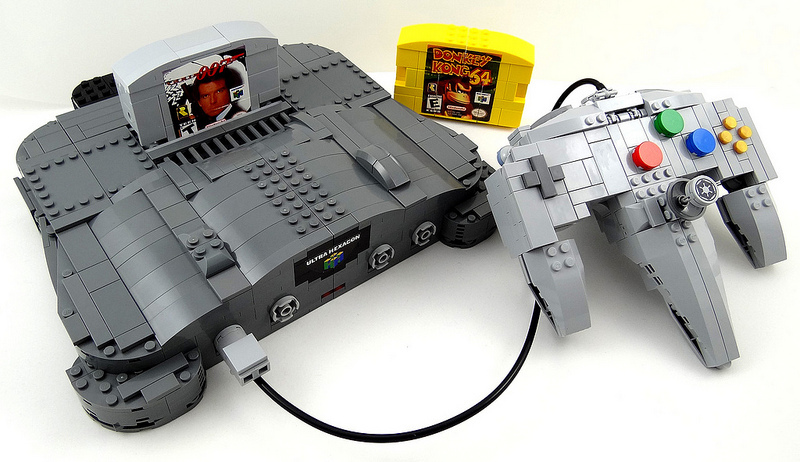 Lego, Nintendo 64, Transformers. Mashup. 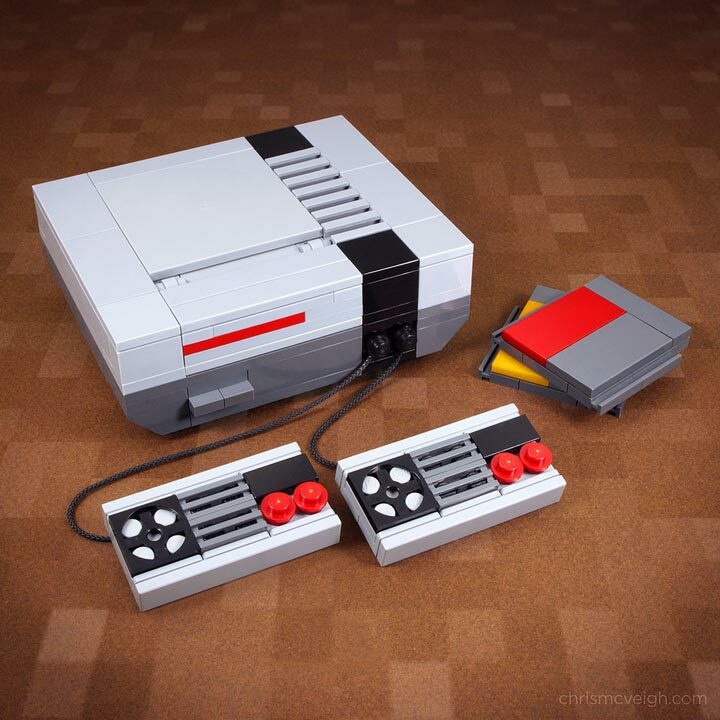 This Lego Nintendo 64 with Controller, and Donkey Kong 64 and Golden Eye 007 (James Bond) video games sums up a whole lot of childhoods in one image. Baron Julius von Brunk created this great tribute to the last great cartridge system. With some amazing attention to detail. The controller ports on the front of the Nintendo 64 are perfect. There is even a red LED bit on the front, perfect for knowing when you have hit the power or reset buttons (also present!). Not only that, this MOC has that wonky AC adapter, a save cartridge in the controller, and more. It all comes together in a pretty realistic version of a Nintendo 64. Kinda makes you want to boot up an old system and play some multiplayer Golden Eye 007. But, thats not all. 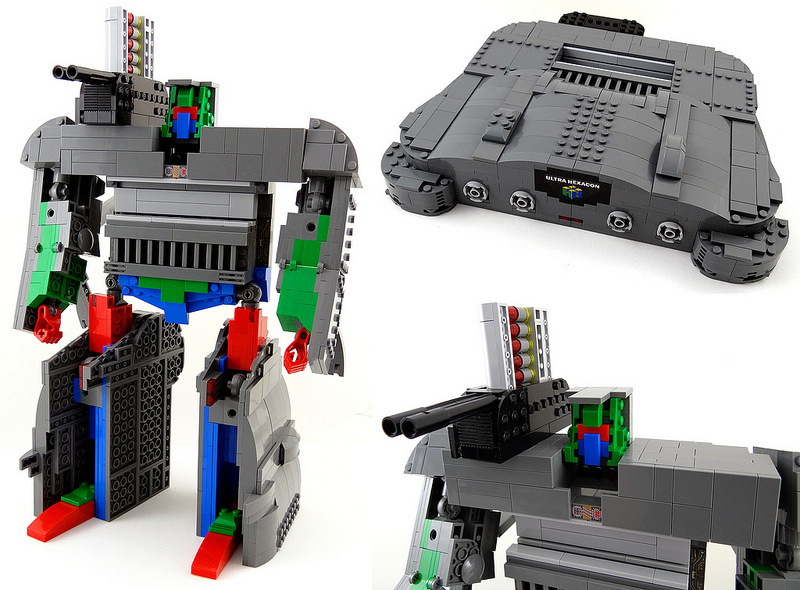 This Nintendo 64 and accessories Lego creation has a secret. It can transform into a variety of robots. 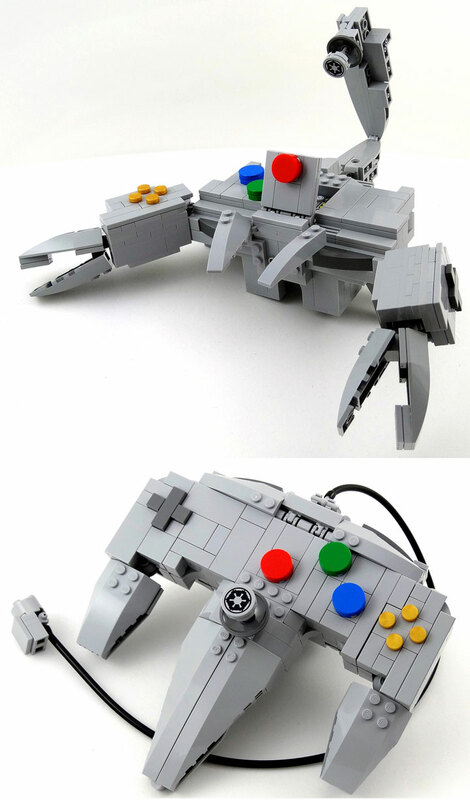 For instance the iconic Nintendo 64 controller can turn into a robotic scorpian. While the Nintendo 64 itself can transform into a deadly robot. With shoulder cannon and magazine (conveniently made from the save pack). 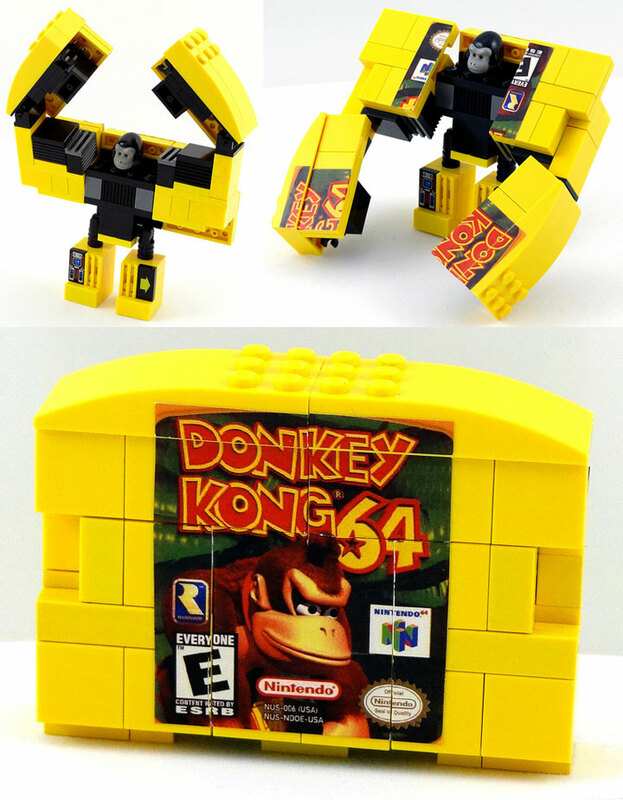 Best of all is the Lego Donkey Kong 64 game. It can transform into a robotic gorilla. Ready to throw barrels and pound the ground. Or maybe just eat a banana.